In today's hurry up and grow up era, children can lose some of their childhood – and the emotional growth that comes with it. That's why Mount Tamalpais School strives to provide more than just a robust, well-rounded academic curriculum. Our K-8 environment champions goodness as much as knowledge – and empowers kids to defy distractions and social pressure and embrace their unique identity and interests. MTS graduates have a mature innocence and are confident without being cocky. 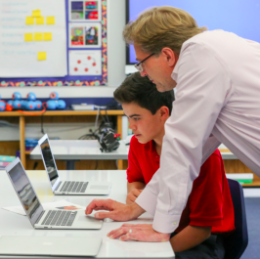 We believe that our small size, our close student-teacher relationships, and opportunities for the oldest students to connect with our youngest students in meaningful ways helps our students grow up without hurrying up. With a smart-phone in the pocket and iPad on the desk, today's middle school students are asked to be "on" and public 24/7. At MTS, our middle school students get a break from this each school day. Cell phones are never out on campus and our technology use is intentional, not ubiquitous. An 8th grade student once said to our Head of School, "We love to complain about the uniforms, but we actually really like them." 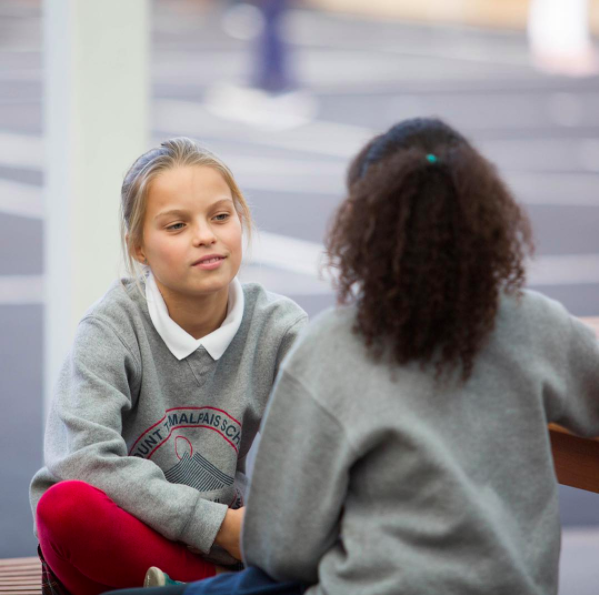 Our uniform allows our students to focus on what is important- knowledge and goodness. Students are quicker to see the person rather than the brand labels they are wearing.